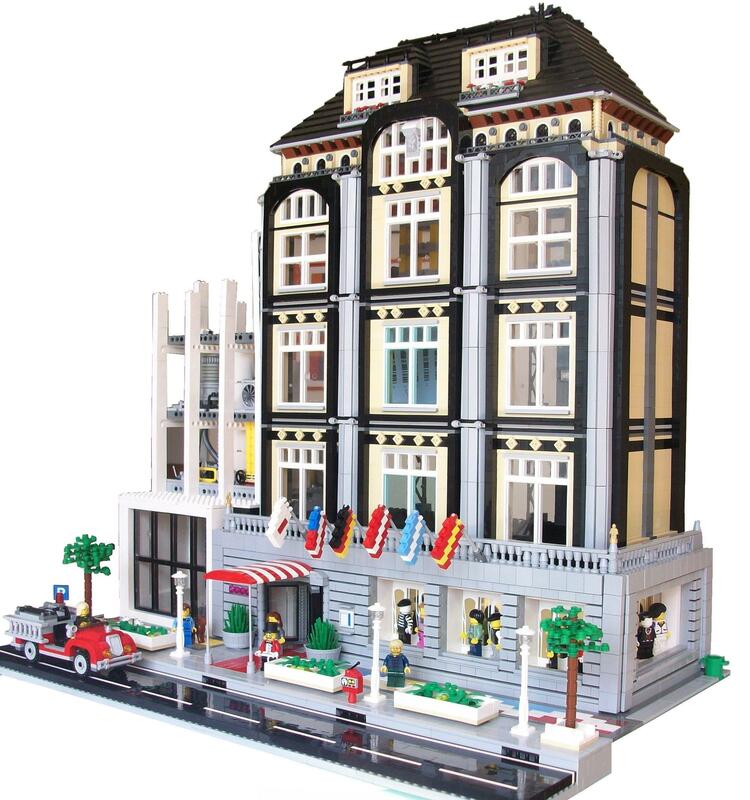 Brick Town Talk: A Night to Remember - LEGO Town, Architecture, Building Tips, Inspiration Ideas, and more! Glamor Avenue - (BTT) Sometimes you just need to treat yourself. The rock hard pillows and Continental breakfasts (read: burnt coffee and stale croissants) at the Motel 6 might be kinder on the wallet, but where is the glitz? You may not be royalty (yet) but that is no excuse not to be treated as such. Living up to its name, a stay at the Memory Hotel is a truly unforgettable experience. I'm digging the flags, the stone work and the giantness of it.